Okay, I am in no way Italian. But, I love Italian food, and the whole scenario of drinking a glass of wine with a large table of family and eating Italian food. I guess Olive Garden commercials have led me to like the idea, mainly because the food and wine always look so appealing and plentiful. 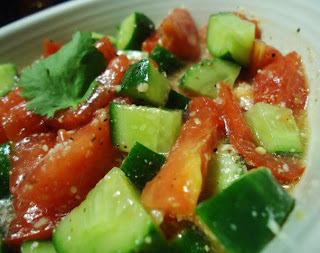 It is diced cucumbers and tomatoes, drizzled with Italian dressing and topped with Parmesan cheese and pepper. Quite refreshing. For the main course, Eric had spaghetti and meatballs with garlic cheese bread. 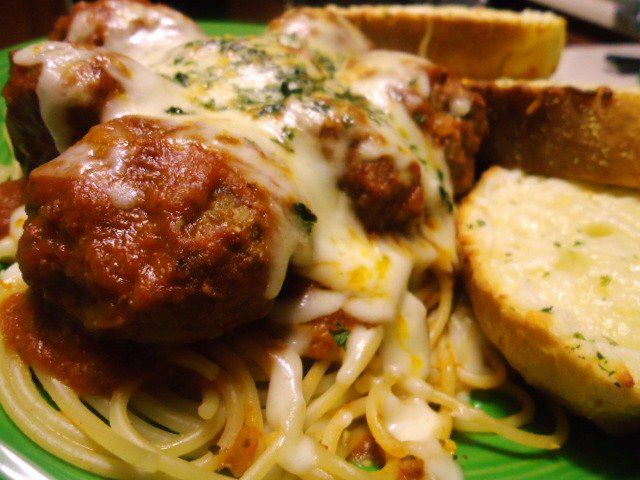 I had zucchini that was sliced and lightly fried in olive oil, then topped with spaghetti sauce and mozzarella and baked for 30 minutes at 350 degrees. 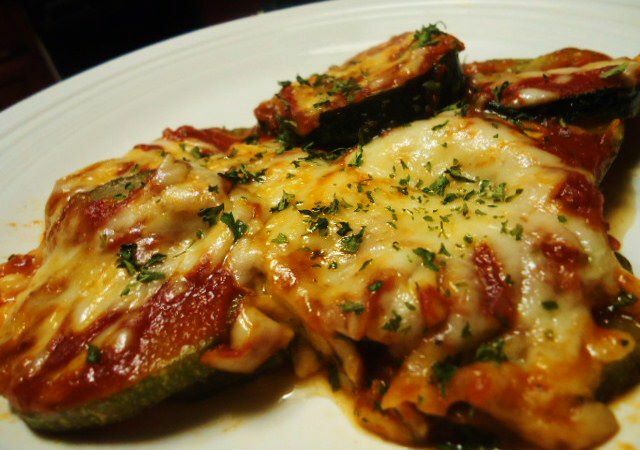 I called it zucchini Parmesan, my light version of eggplant Parmesan. It was delicious and quite healthy too!